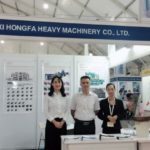 On Oct 12-14th, Hongfa attended Myanmar 5th construction building material and machinery show at Myanmar Event Park, Yangon. This is our fourth time to show here since 2012. 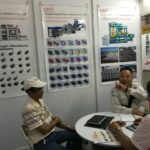 It is a professional exhibition specialized in various building materials, construction machinery, trucks etc. Myanmar’s potential for growth and development is unprecedented. 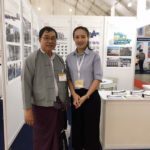 With five years of growth in foreign trade and investment already under its belt, and with new government in place, Myanmar’s infrastructure is long overdue rapid expansion, development and modernisation. New and upgrading projects are in the pipeline and have started creating high demand for power, machines, new technology and materials, new skills and best practices. 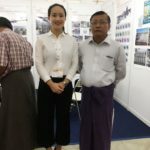 We sold a total automatic production line based at Yangon in 2014, with fast growing up of concrete paving bricks, this market is with more and more potential. Many old and new customers came to visit us, our sales representatives introduced our new products to them. Our faith is offer customers machines with highest quality and reliable price, struggling for more space in high industry competition.